Timeline of AMRE & the Adelaide Model Railway Show. 1981 First Adelaide Model Railway Show, organised by Trevor Searle at Alden Manor, Glenelg. The show was held bi-annually. 1983 Adelaide Model Railway Show held at Regency Park. 1985 Adelaide Model Railway Show held at St Clair Recreation Centre, Woodville. 1986 With encouragement from Trevor Searle, the Adelaide Model Railway Exhibition Inc was formed by six model railway clubs: Adelaide Model Rail Roaders Inc, Classic Train Collectors, Mt. 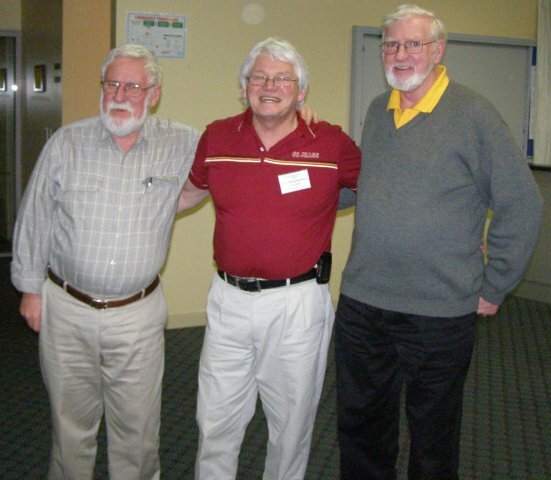 Barker, M�rklin, SANGS and SARMA, to take over the organisation and running of all future Adelaide Model Railway Shows. 1987 - 1989 Adelaide Model Railway Show held at the No. 1 shed, Port Adelaide. 1991 - 1997 Adelaide Model Railway Show held at the Wayville showgrounds, in Hamilton Hall. 1993 South Australian Protofour Group joined AMRE, bringing the membership up to seven clubs. 1998 Interim show held at Immanuel College, Novar Gardens. 1999 - 2017 Adelaide Model Railway Show moved to Greyhound Park, Angle Park. The show became an annual event. 2010 First convenor of AMRE, Rob Burford, dies of a heart attack. He is sadly missed by all family, friends and members of AMRE and it's clubs.